I don't know what is is about these sketches but I just think that they ooze Tuscany, they are one of the hostess gift sets from Stampin Up mini catalogue and as soon as I saw then I new that I had to have the stamp set. I stamped the focal image onto kraft card and coloured it with Promarkers then distressed the edges of the card to give it a rustic look. Gorgeous, Jak, and perfect colors for my house!!! Lovely card Jak like how youve incorporated the 4 sketches .And bow is fab. Just love this card Jak and the colours are wonderful. I really love this and is ideal for those we have to make cards for who don't do cuties or flowers. 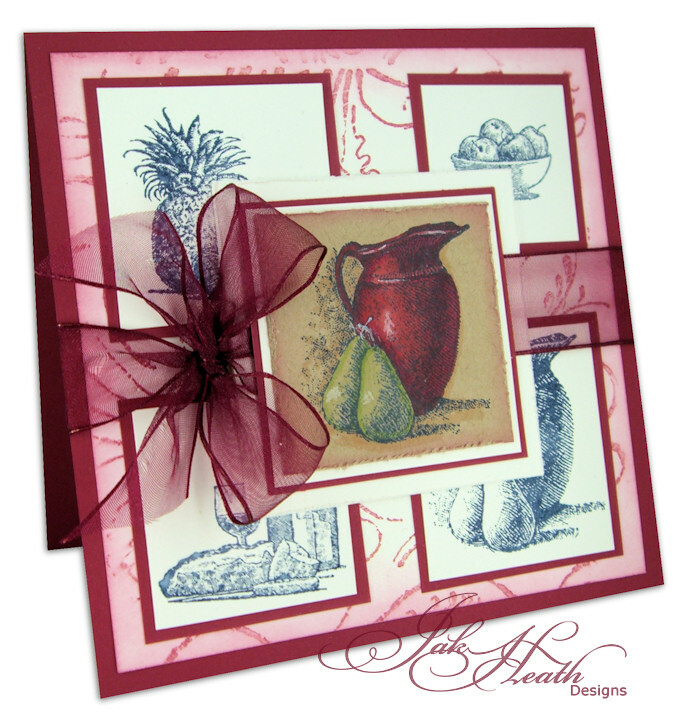 Another beautiful card, Jak - love the colours and the composition! What a lovely card! Thank you for the inspiration I am looking forward to your next card. Your colouring is wonderful Jak, you just seem to know what colours compliment each other. What incredible images!! Wish they were available to everyone. Your card is absolutely beautiful!!! Another beautiful card, Jak. 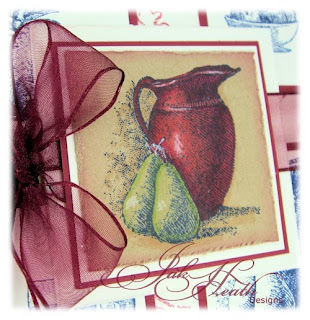 Maybe next year Stampin' up! will make the images available in their catalog. Love those colors too! Beautiful work of art! Stunning! brilliant coloured in or left just inked - great detail in the stamp to do either way.